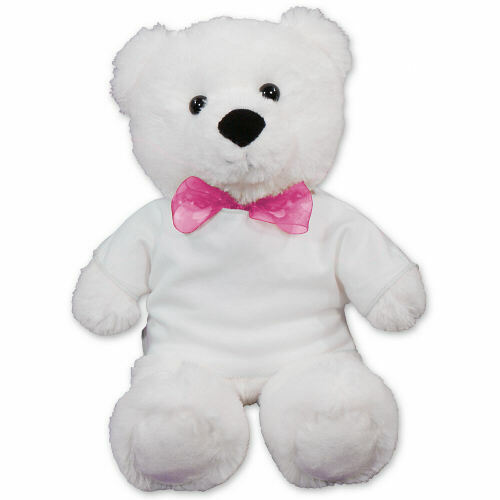 Let this Mother’s Day be one that mom will never forget when you present her with this fun loving Plush Mother’s Day Bear. This Plush White Teddy Bear is a unique keepsake she’ll always enjoy. This teddy bear has an irresistible look along with a super soft feel and a cute black nose. Our Aurora teddy bear wears a sheer red bow around its neck that is accented with hearts. Measuring about 15” tall and makes a wonderful gift for your Mom and even Grandma. You may choose to keep the design we feature on this bear or select a different one that better suits your needs. Free Gift Wrapping and a Free Gift Card are included to create a thoughtful presentation. 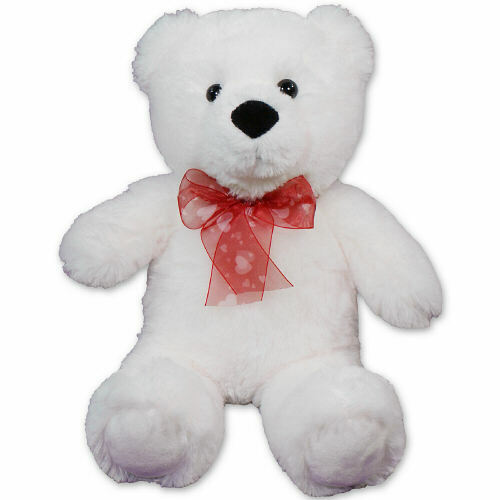 Additional Details Shop 800Bear.com for all your adorable and fun loving Mother's Day Plush Animals. With our selection of Plush Teddy Bears for Mom, you are sure to find an adorable keepsake she'll love. World's Best Mother Teddy Bear & our Personalized I Love Mom Teddy Bear as well.